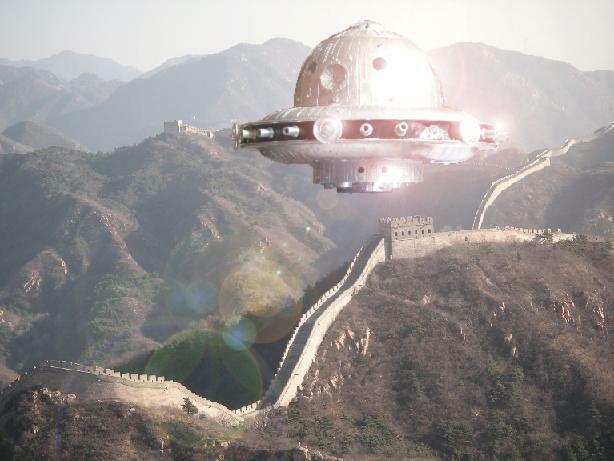 UFO infestation on the China-India border? Hundreds of incidents of UFO sightings still remain a mystery. China has its fair share of problems, as can be expected from any country with the size and population that they have. From the economy to corruption in politics to the situation in Tibet, there’s always something for the Chinese government to worry about. Now it looks like they have a new problem - an infestation of UFOs on their border with India. Apparently, glowing yellow spheres have been spotted by Indian border guards. They rise into the air on the Chinese side, cruise around in the sky for about three to five hours, and then disappear. These sightings have been made both at night and during the day, at both times the spheres appearing to glow. Over 100 incidents of this phenomenon have been noted over the last three months. Without an answer to the question of what they are, many people speculate as to their true nature. Some suggested that they were Chinese drones or perhaps low-orbit satellites, but both these explanations have been dismissed. Others say that perhaps China is experimenting with some sort of psychological warfare technique or that they are probes of some sort, testing Indian defenses. To figure out the answer to the mystery, India made a few attempts at using technology. They tried to scan the UFOs with radar and a spectrum analyzer. Neither worked, which suggests that whatever the UFOs are, they’re not made of any sort of metal. Some theorize that they are a balloon-based craft, thus explaining the lack of metal. Of course, there are more exciting tales to be heard about the UFO origins. Some say that there are alien camps located within the Himalayas and that the government knows all about them. The Indian government has ties with these extra-terrestrials and is exchanging technology with them. There have also been flying robot sightings in the area. So maybe the robots or the aliens are the cause of the glowing spheres? This UFO problem isn’t just a recent issue either. For several years people have been seeing the spheres, but most reports have been ignored or dismissed as hallucinations. Now that activity levels have risen, however, they can no longer be ignored. No word from China yet on what’s going on, but likely they’ll have to spill the beans on this at some point or risk diplomatic relations with India. Of course, if they actually are UFOs, neither side is going to be able to say much about what they are and where they came from, which leads to even more interesting possibilities for the future. NASA looking to wrangle up an asteroid?